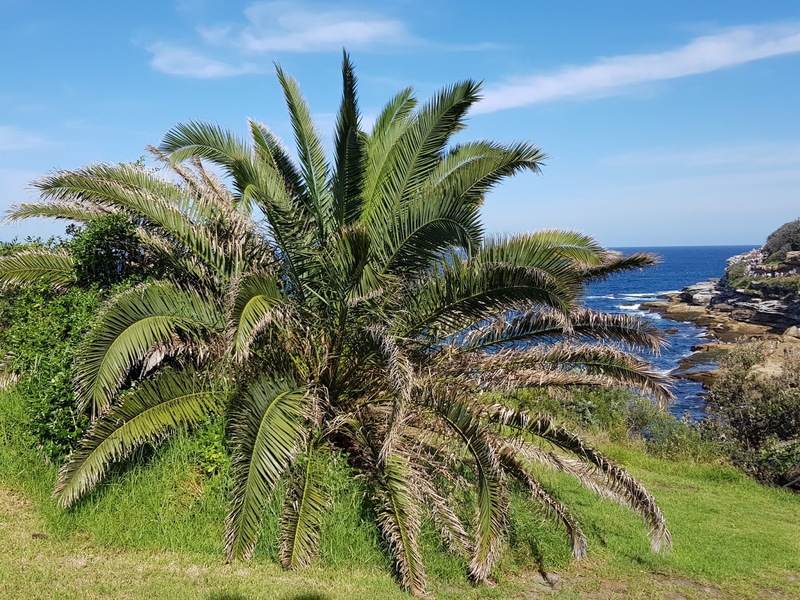 This palm tree is located at the end of Hunter Sculpture Park, in the eastern suburb of Bondi. It overlooks the coastal walkway between Bondi Beach and Tamarama. Looks more like a huge bush than a tree. Must be a quite young one. We don't often see them so low to the ground around here. I always love the combination of a palm tree and blue sky. Beautiful shot! Quite the palm tree and lovely sky shot! I smell summer in the air! Bondi was a great place to see!